Waterbury is part of the largest network of radon services organizations in the world, National Radon Defense. National Radon Defense has dealers all across the US and Canada. We are the exclusive dealer in our area. Being part of this network is a huge benefit for our company, which benefits our customers as well. As only a network can, National Radon Defense draws upon the shared knowledge of all the companies in the network to provide us training programs, vendor programs, and great product innovations. By being a part of National Radon Defense we can provide our customers far better service than if we were a stand-alone company. Learn the Facts — Radon May Be Contaminating Your Home! Waterbury is your exclusive National Radon Defense Dealer for Sioux Falls. Research about the connection between radon gas and lung cancer has gained more attention in recent years. But there’s good news: radon levels can be reduced significantly, and Waterbury can help can help. Radon is a naturally occurring radioactive gas that has become the second-leading cause of lung cancer — second only to cigarette smoke. Radon is a byproduct of uranium decay, and all soils and rocks contain different concentrations of uranium. As uranium breaks down over time, it releases radon and polonium. These two toxic byproducts then seep up and out of the soil. If your home is located on top of a high concentration of those gases, they seep through the porous concrete footings and slabs of your home and get trapped instead of escaping out into the open air. Radon is undetectable with our senses, so it easily goes unnoticed. Over time, continuous exposure to radon leaves everyone in the home increasingly susceptible to lung cancer. According to the World Health Organization, radon causes 15 percent of the world’s lung cancer cases and kills 20,000 people each year. Lung cancer kills more people each year than the other top cancers combined. It also receives the least amount of funding, because many people believe it’s a self-induced disease. For those 20,000 non-smokers who haven’t spent extensive time around smokers, radon related lung cancer is far from self-induced. Radon induced lung cancer kills one person every 25 minutes, putting radon in the company of arsenic, asbestos and benzene as a Class-A Carcinogen. That radon gas was actually a vital aspect of the gaseous makeup of the atomic bomb? Although the levels of radon that resulted from the atomic bombs far exceed the amounts of radon found in a home, the principle remains the same — radon gas is very harmful and can be deadly! How does radon enter a house? Most radon gas comes through the soil. A crawl space with a dirt floor has the potential to maximize radon exposure. But even houses with seemingly sound foundations can have high radon levels. The radioactive gas can enter the foundation through cracks in floors and walls, through floor drains and sump openings, and through holes made for pipes and/or utility lines. Radon gas that accumulates in a basement or crawl space usually has no trouble migrating upstairs into main living areas. Since radon is also likely to be present in well water, radon gas can enter the house as people take showers and baths or run water for other uses. However, this source of radon is not usually as significant as the soil. How do I Know if My House or Building has Elevated Radon Levels? Through testing. Waterbury can test your home for radon. If after testing it is determined that your home has concentrations high enough that you require abatement, Waterbury can present you with the various methods of radon mitigation, cost analysis, and installation of a radon reduction system. Waterbury is dedicated to helping home and business owners, property managers, and appointed municipal employees who have tested their facility or home for radon and confirmed that they have elevated radon levels – 4 picocuries per liter (pCi/L) or higher. As a member of the National Radon Defense network of radon mitigation experts, Waterbury is a certified and trained radon mitigation expert in Sioux Falls. Contact us today for more information about radon testing and our radon reduction services. Protect Your Home From Radon Today! Radon is a hidden killer – an odorless, invisible gas that can reach high concentrations in the indoor air we breathe every day. Since it’s the leading cause of lung cancer after smoking, radon is a major health issue among Federal agencies like the Environmental Protection Agency and national organizations like the National Cancer Society. Despite its high profile as a potentially lethal indoor air pollutant, the fight against radon must be fought one house at a time. And the first step in protecting your family from this cancer-causing gas is to have your house tested for radon. The licensed and certified Radon Measurement Specialists at Waterbury can provide a Continuous Radon Monitor test for your home. This is by far the most accurate short-term radon test available. This test typically provides a precise radon level reading in about 48 hours. Call us today to schedule your test. If you already know you have high radon levels, Waterbury will provide you a free Structural Analysis and Mitigation System estimate. Step 1: Contact Waterbury to schedule 2 quick meetings. The first meeting is to set the Continuous Radon Monitor; this typically takes only 5 minutes. The second meeting is to analyze the reading of the monitor and discuss the results (10-15 minutes). Step 2: A Waterbury Specialist will set the monitor in your home in the appropriate location. We will also explain the proper procedures for you to follow to ensure an accurate results (i.e. closed house conditions) and answer any questions you may have about radon. Step 3: We go over the results. The Radon Measurement Specialist will return for the second meeting a minimum of 48 hours after setting the monitor. The specialist will either print the results using an attached thermal printer or sync to a laptop. You will know right then if your home is safe. Since radon is a known carcinogen, any exposure has some risk of causing lung cancer. However, the Environmental Protection Agency (EPA) has established recommended concentration levels that minimize exposure and health risks. The amount of radon in the air is measured in “picocuries of radon per liter of air,” or “pCi/L.” Sometimes test results are expressed in Working Levels, “WL,” rather than picocuries per liter of air. A level of 0.02 WL is usually equal to about 4 pCi/L in a typical home. The EPA recommends that homeowners fix their homes if the results of one long-term test or the average of two short-term tests show radon levels of 4 pCi/L (or 0.02 WL) or higher. Don’t worry if your radon test reveals a high concentration of radon gas in your interior air. No matter how high your radon levels are, you can be confident that an experienced radon mitigation specialist will be able to reduce radon levels effectively and affordably. In fact, most home radon reduction systems can be installed in less than 1 day. Although Do It Yourself-type radon test kits are very accurate, they must be used correctly by the homeowner to avoid false results. It’s important for all family members to follow the testing instructions carefully to ensure accurate readings. Otherwise, you will need to do several Do It Yourself tests before you are confident in the results. Another disadvantage is that you need to mail the detector into the lab and wait for the results. If you are unsure about your ability to conduct an accurate test and want your results right away, leave it to the pros you can trust, Waterbury. All National Radon Defense dealers go through extensive training, certification, and continuing education with the EPA in order to provide the most up-to-date, accurate results to our customers. In short, we know radon and we can test radon levels quickly and accurately. Also, if you are selling or buying a home, using a licensed Radon Measurement Specialists to perform the test is typically required. The great news is that a professional test is surprisingly affordable! Don’t take chances with your family’s health. Contact Waterbury today to schedule your radon inspection and test. Waterbury experts provides free, in-home consultations to assist with radon removal and radon mitigation. Our radon mitigation specialist will work with you to find a time that is most convenient for you and your family. When it comes time to meet with one of Waterbury highly trained specialists, you’ll be set up with a free, no obligation, in-home consultation– based on your schedule. It’s very important that we meet with all decision makers at this time because jointly, we’ll be deciding upon the system’s structural layout, aesthetic options, and payment/warranty options. We offer a variety of payment offers because even though it’s not always a budgeted or planned expense, we still believe radon mitigation should be affordable. The consultation with our radon specialist usually takes an hour so that they can conduct a design survey and structural analysis of your home. The plan for your specially designed system will be comprehensively explained so as to provide you all the information you’ll need to make the best decision regarding the system for your home. During your appointment, Waterbury experts will work with you to complete a structural analysis and design survey that outlines all the details that go into a successful radon mitigation system. Contact us today for a free radon mitigation quote! Some radon reduction, mitigation, or abatement systems are proven to have a 99% success rate! Unsure which system is right for you? Well, Waterbury experts would be happy to meet with you and help you make the best decision regarding a radon mitigation system. There are several methods or systems available from preventing radon gas from entering the home while and reducing radon levels after it has entered the building. The EPA generally recommends methods that prevent radon from entering, such as soil suction, that draws the radon from below the basement or crawl space floor pushes it out into the outside air. Other radon reduction techniques that can be used in any type of house include: sealing, air filtration, house/room pressurization, energy recovery ventilation, and natural ventilation. Waterbury experts radon technicians are extensively trained using industry leading best practices for installing radon mitigation systems to pull and expel radon from your home. Step 1: Redirecting the “stack effect”. Depressurizing the soil beneath your structure allows us to redirect the stack effect, and the radon gas with it. Step 2: Creating suction. A hole is drilled into the slab, crawl space, or surrounding earth to create a suction point (sometimes more than one suction point is needed). The radon gas is vented through a PVC pipe that is connected to the hole. The pipe can be installed through the house or outside. Some newer homes have radon control systems installed that run through the home. Step 3: Radon is vented out, away from your home The pipe is connected to a fan for proper ventilation. Step 4: Radon entry points are sealed. To resist gas entry, cracks are sealed using a urethane caulking compound. Step 5: A final system checklist is performed. Your technicians are trained and certified to inspect the entire radon mitigation system after it has been installed to make sure it complies with industry standards. Proper system labeling and proper fan operation are checked, along with other key system details. Step 6: Retesting for radon. Retesting is done within 30 days of the system installation to ensure the system is working effectively. Waterbury experts offers a variety of payment options for your convenience. We know that radon gas mitigation is not always a budgeted household expense, and we’ll work with you to make sure that you get the best value within your price options. Is your radon mitigation system still keeping you safe? Schedule an inspection to make sure. The Environmental Protection Agency recommends that existing radon mitigation systems be tested every two years. This is a recommendation that every homeowner should take seriously. Exposure to radon gas is the leading cause of lung cancer after smoking, causing over 21,000 deaths in the U.S. every year. Waterbury hopes to cut down this number by promoting responsible radon testing and mitigation. If you think it’s time to inspect your existing radon mitigation system, we can help. Radioactive radon gas is emitted by soil and rock and can enter the house through a basement, crawl space or slab. Fan failure. The fan contains the only moving parts in a radon system, but fans eventually wear out. Most are warrantied for only 5 years. A radon system inspection will evaluate the condition of the fan so that you can be confident that toxic radon gas will continue to be expelled before it reaches your living space. Foundations change. Home remodeling projects sometimes call for foundation changes that impact the performance of an existing radon mitigation system. Gaps and cracks. The pipe system that extracts radon gas from the soil beneath your house should be as airtight as possible. Over time, gaps and cracks can develop, resulting in poor system performance and possible leakage of radon into the home. Affordable protection. It won’t take long for a radon specialist to inspect an existing radon mitigation system and provide you with a thorough assessment of its performance. The inspection itself, as well as any recommended repair or maintenance work, can be done very affordably. It’s a smart way to keep your family safe. Improved home value. If you plan to sell your house, a properly maintained, well-functioning radon mitigation system will be important to real estate agents and prospective buyers. Don’t be in the dark about your radon mitigation system. National Radon Defense dealers are trained and certified to keep your system in working order. Schedule a radon mitigation system quote today! Volatile organic compounds are produced and used in the manufacture of fuels, paints, pharmaceuticals, and refrigerants. VOC’s are also present in industrial solvents, paint thinners, tetrachorethene (TCE, which is dry cleaning fluid), fuel, oxygenates (MTBE), or chlorination in water treatment systems. Unlike radon gas, which occurs naturally, the hazardous elements mentioned above are man made. They enter the soil because of accidents or industrial activities. When buildings are constructed near or on top of contaminated soil, there’s a risk of hazardous vapor intrusion. If you’re concerned about vapor intrusion, Waterbury can help. Sub-Slab Depressurization (SSD): SSD is widely considered the most practical vapor intrusion mitigation strategy for existing and new structures. EPA defines SSD technology as “a system designed to achieve lower sub-slab air pressure relative to indoor air pressure by use of a fan-powered vent drawing air from beneath the slab.” Thus, even if there are holes, cracks, or other pathways between the building and the subsurface, vapors flow downward, not upward. Thus, a well-designed depressurization system prevents any toxic vapors from intruding above. Waterbury can also install vapor pins for diagnostics and annual maintenance. The vapor pin is a reusable sub-slab soil gas sampling device. The vapor pin is constructed of a single piece metal. This single piece design along with the silicon sleeve eliminates potential leak points. It is installed to provide a sealable measurement point for annual maintenance of the system. The international National Radon Defense network has worked with Environmental Engineering firms all over North America in installing Vapor Intrusion Mitigation Systems. National Radon Defense understands the importance of sealing, depressurizing, and communicating all the entry points of the vapor intrusion. That is why we perform detailed pressure field extension testing to ensure the systems are working effectively. For an environmental cleanup project of this nature, we understand you need a company with experience to get the job done right. Our network of radon mitigation companies is North America’s trusted source for vapor intrusion mitigation services. Contact us today for soil vapor extraction, vapor intrusion guidance, and a quote for vapor intrusion mitigation. We are also your resource for radon testing! New Federal requirements are designed to minimize the risks of radon exposure for condo and apartment dwellers. Helping to reduce hazardous radon gas in condos and apartments has long been a major goal of federal agencies such as the Dept. of Housing & Urban Development, the Dept. of Energy, the Environmental Protection Agency, and the Dept. of Health and Human Services. These agencies partnered with the White House Council on Environmental Quality to launch the 2013 Advancing Healthy Housing Strategy. A major initiative in this healthy home strategy focuses on radon testing and radon mitigation in apartment buildings, condos and multifamily housing. New requirements basically stipulate that multifamily housing that receives Department of Housing and Urban Development (HUD) financing or re-financing will require radon testing. If test results show radon concentration above the actionable level of 4 picocuries per liter, a radon mitigation system must be installed in the apartment or condominium. Take action today! To comply with new federal regulations and make condos, apartments and multifamily housing safe from hazardous radon exposure, contact Waterbury today. Many people are affected by radon mitigation in condominiums and apartments. Because a single multi-unit building provides shelter for so many people, it’s critical for a radon mitigation system to be designed and installed properly. Large, complex foundations pose design and installation challenges. An unlicensed, inexperienced radon contractor probably won’t have the manpower, equipment or knowledge to design and install a radon mitigation system in large buildings or building complexes. It’s better to go with a licensed radon mitigation professional with experience with large-scale multifamily housing. Access to quick, expert maintenance and repair is important. The radon mitigation system in a condo or apartment should be checked on an annual basis. You can depend on well-established radon mitigation professionals to be available now and in the future to answer maintenance and repair needs. Easily filter allergens, odors, mold spores and radon with whole-house air filtration. You can’t see the dust, pollen, mold spores and other microscopic particles that get blown throughout your house by a typical forced-air HVAC system, but you probably experience their effects. All of these tiny elements contribute to indoor air pollution, which is sometimes referred to as “sick building syndrome.” Indoor air pollution is a serious health hazard that can cause or worsen ailments such as eye irritation, allergies, asthma, headaches and skin rashes. National Radon Defense dealers use the Breathe EZ Air Cleaner to resolve indoor air quality issues that can make your home or building uncomfortable and even dangerous. What many people don’t understand is that the primary purpose of a standard HVAC system air filter is to protect the HVAC system’s blower motor. This filter is designed to capture large dust particles that can collect on fan blades and bearings. The filter will not capture small dust particles, mold spores, allergens, airborne bacteria, volatile organic compounds (VOCs) and unpleasant odors. As a result, your HVAC system ends up blowing indoor air pollutants around the house. Hardware stores and home centers stock more-expensive electrostatic and pleated air filters for HVAC systems. These filters rely on “static cling” and/or a tight weave to achieve finer filtration. However, these filters have a serious problem: They can clog quickly, which cuts air flow while straining the blower motor. Breathe EZ Air Cleaners are effective and easy to use. Building scientists discovered that electronic air filtration can trap airborne pollutants effectively without clogging the filter media. The Breathe EZ Air Cleaner is one of the best examples of this new technology. The Breathe EZ Air Cleaner doesn’t rely on a fine fabric to trap dust particles. Instead, it electrically charges particles of all sizes, so that they “cling” to filter media that is charged in the opposite way. This dust-trapping method works with an open-weave filter media that doesn’t restrict air flow through your HVAC system. The Breathe EZ Air Cleaner also contains carbon strips that absorb odors and chemicals commonly found in your indoor air. When radon decays, it produces decay products. These are solid elements that stick to surfaces, such as dust particles. Breathing in the dust particles increases your risk of lung cancer, unless they are filtered. The problem is these particles are much smaller than what traditional furnace filters are designed to handle. The solution is the Breathe EZ Air Cleaner. In clinical trials, this air cleaner filtered 98% of radioactive elements in the air. It can be easily installed into your furnace’s 1-inch filter space by a trained installer. All you need to do is make sure the air in your home is circulating through your HVAC system. The harmful radon decay particles will attach themselves to the Breathe EZ air cleaner, reducing your risk of lung cancer. If you have high radon levels, National Radon Defense recommends installing a radon mitigation system as your first line of defense, and the Breathe EZ Air Cleaner for extra protection. The Breathe EZ Air Cleaner is made in different sizes to fit a wide variety of HVAC systems. (Company Name) technicians are trained to install Breathe EZ in your existing system. They will also show you how to swap out the filter media inside the Breathe EZ quickly and easily. This maintenance should be done about 4 times a year. An energy recovery ventilator reduces radon levels by adding fresh air and creating positive air pressure. Negative air pressure in lower levels of homes and building create a force that pulls soil gases including radon into the structure. If we can reduce this negative air pressure, we can thus reduce your radon levels. Also, supplying fresh air makes a huge impact. These two features of an energy recovery ventilator make it a great solution for reducing radon and other indoor air contaminants in your air. National Radon Defense has installed an energy recovery ventilator as a solution where traditional active soil depressurization wasn’t viable and/or cost effective. These situations can occur in homes with inaccessible crawl spaces, difficult slab accessibility, earth homes, HVAC returns under the slab, and other tough scenarios. The ERV has also proven to be a great option in schools and commercial buildings too. Many of our customers prefer the benefits of an ERV over traditional radon mitigation. Sealing air leaks and adding insulation are two common ways to improve the comfort and energy efficiency of your house. The problem: if your home is too tightly sealed, this prevents fresh air from getting into your house, which can cause poor indoor air quality, making allergy and asthma conditions worse. To solve this issue, you might need a ventilation system. An energy recovery ventilator (ERV) removes stale, polluted air from the home and replaces it with fresh outside air. Unlike ordinary ventilation systems, the energy recovery system handles both exhaust and fresh airstreams while also moderating temperature extremes and humidity year round, and removing excess carbon dioxide, radon, formaldehyde, and other gaseous pollutants. In the winter, the fresh, cold, dry outside air is preheated and humidified by the outgoing warm interior air. In the summer, the fresh, warm, humid outside air is pre-cooled and dehumidified by the outgoing air-conditioned interior air. No matter what the season, the pollutants go out and fresh air stays in, with no wasted energy. 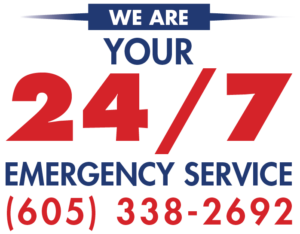 Waterbury is trained to install an ERV to work with your existing heating and cooling systems. When you’re inside your home, make sure you’re always breathing fresh, healthy air with the best ERV system. To find out if an ERV system is the right solution to your indoor air quality problems, contact your local contractor today for a consultation and estimate! Every technician, salesperson, and staff at the front desk were wonderful to deal with. We are so appreciative of the work they did to make sure we were taken care of and comfortable. 100% pleased! Highly recommend had my water heater replaced same day I called!